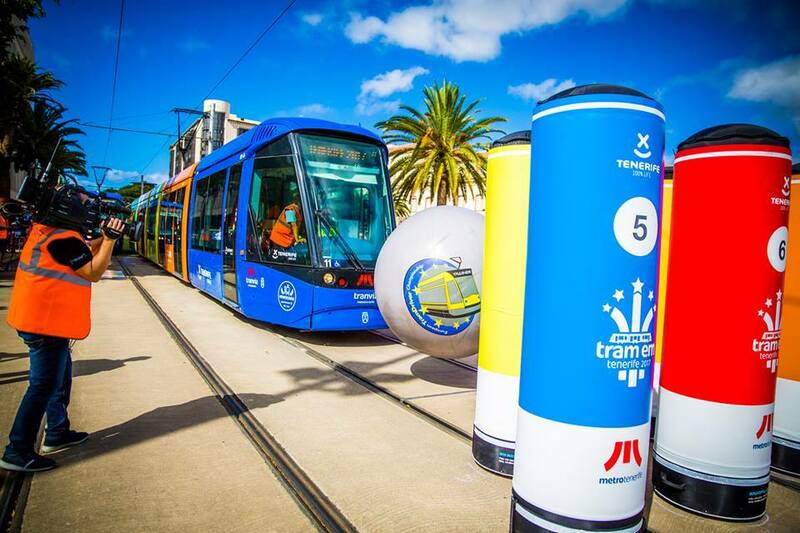 The 2017 TramDriver Championships were held in Tenerife. Tram drivers from across Europe will battle it out to be crowned the continent’s best at the annual European TramDriver Championships on May 5. Held in Stuttgart, 25 teams from 19 countries will go head-to-head in six disciplines along a 300m course. For the first time in the competition’s seven-year history, teams from Moscow, Edinburgh, Brno, and Lodz will compete. Joining them will be participants from Barcelona, Bergen, Berlin, Brussels, Budapest, Dresden, Dublin, Florence, Frankfurt, Helsinki, Goteborg, Leipzig, Manchester, Paris, Porto, Rotterdam, Stockholm, Stuttgart, Tenerife, Vienna and Zurich. The exact details of the different challenges are yet be announced but they could include precise sudden stops, perfectly estimated distances, impressively smooth drives, and tram bowling. The competition takes place from 10:00 to 16:00 at the Stuttgarter Straßenbahnen (SBB) depot. An awards ceremony and the official handover to 2019’s host city Brussels will follow. The European TramDriver Championships will be broadcast online at www.tramem.eu.